Murder suspect Misonzi Chanthunya, who is accused of murdering his alleged Zimbabwean girlfriend Linda Gasa in 2010, was granted bail yesterday after spending seven years in custody. Malawi Supreme Court of Appeal Judge Dunstain Mwaungulu granted bail to Chanthunya because the suspect was detained beyond the pre-custodial time limit. He said where custodial time limit is exceeded, the court considers the suspect’s constitutional right under Section 42 (2) (f) and statutory right in Section 161 A-J for the Criminal Procedure and Evidence Code. Said Mwaungulu: “The appellant will be released on a bond of K5 million, not cash, from five sureties for the like sum. In June last year, High Court Judge Redson Kapindu denied Chanthunya bail, arguing he was a flight risk and that the nature and seriousness of the offence warranted that he stays in custody. Chanthunya’s lawyers then applied for a bail pending to the Supreme Court of Appeal in July. 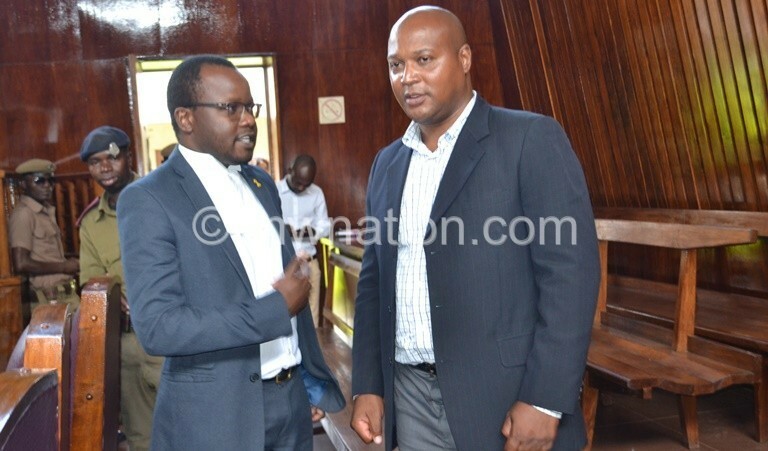 But in an interview after judgment yesterday, one of the lawyers representing Chanthunya, Crispin Ngunde, said he was excited that his client has been granted bail. In 2010, Chanthunya escaped to South Africa after being questioned by police in Blantyre following the discovery of Gasa’s body at his private cottage in Monkey Bay. He was arrested by International Police in January 2012 at the residence of a Malawian woman in Rustenburg, South Africa’s North Western Province, before being extradited to Malawi for trial last March.